Using techniques to gain an advantage is not cheating. For example, card counting is not a criminal activity, especially in games like blackjack and baccarat. However, just like restaurants reserve the right to admit or bar admission, casinos can ban customers who they believe are using advantage play. While cheating can be greatly reduced by following exacting procedures for shuffling, dealing, how the dealers conduct themselves, etc, the one option that most casinos use is constant vigilance. Many casinos are completely wired in terms of security cameras that watch and record every table in the house, and each transaction. This electronic surveillance comes in handy for detecting cheats by analyzing game play, facial recognition and monitoring player patters. It is also often used for resolving disputes, if any occur. These days, most casinos have two main divisions of security, that of a physical security force and a specialized electronic security force that handles the CCTV system. Besides cameras, casinos have discreet one-way glass observation decks, where experts can watch and evaluate players at the tables. A host of best practices have emerged from the hard-learned lessons of the past. In roulette, players are not allowed to collect their winnings out of turn. This is done to minimize people from ‘palming’ other people’s chips. After the dealer announces ‘no more bets’, the players are not allowed to add or change their bets. Players cannot hand the money to the croupier directly; they have to place it on the table. The only items allowed on the table are chips, money, cigarettes and drinks. In craps, the dice cannot be handled with more than one hand in order to eliminate the possibility of cheaters switching the dice for a tampered pair. Dice that land in the boxman’s box or the stickman’s bowl are not considered valid. Also, if the dice goes off the table, it is examined before being allowed back into the game. 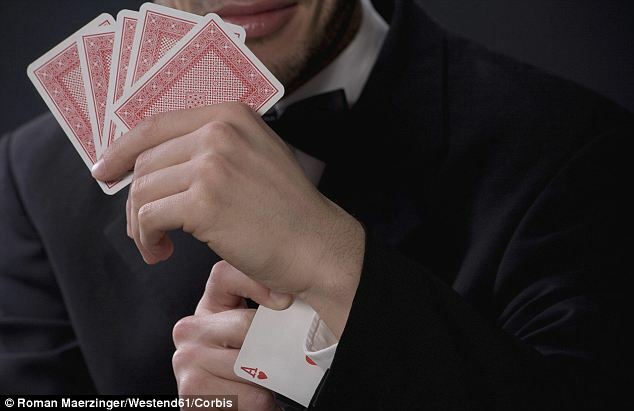 Card games, for their part, have to watch out for marking of cards, substitution, false deals (dealing the second from top card or the bottom card of the deck), false shuffles and cuts which leave the cards in a certain order that can be predicted. Not just cards and table games, slot machines and online gaming have had their share of cheats and opportunists. Casino surveillance personnel need to be trained in knowing what constitutes ‘normal’ as part of the operations they are monitoring, and what does not confirm to normal behavior or patterns. Interestingly, the surveillance team does not have any authority over the operations of the casino, and it is the executives who take decisions based on the surveillance departments inputs. With the amount of money casinos are in contact with, it is no wonder that each incident provides food for thought for casino security. Furthermore, casino security is a sensitive issue, with law enforcement and government regulatory bodies constantly checking to see if casinos live up to their code of conduct and ethical standards. Therefore, these security systems become paramount for casinos wishing to maintain their good reputation and continued patronage. Very useful article for casino job holders. It would be greatly advantageous for casino managers.